Our hands-on approach to learning gives students access to the tools and technologies professionals use. Valparaiso University’s powerful computer network, which provides access to the Internet, file storage, email, library resources, and key software, is available to students 24 hours a day from anywhere on campus. Classrooms and laboratories all over campus are equipped with information technologies that support teaching and research. 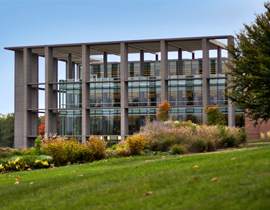 The spectacular 105,000-square-foot Christopher Center for Library and Information Resources is a world-class research facility with generous work spaces. 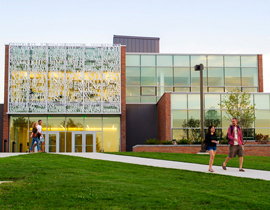 Amenities like fireplace lounges, a cafe, and an outdoor terrace make it a welcoming space for students. 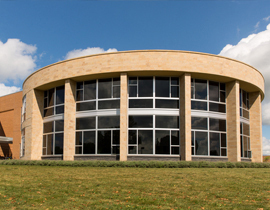 The Law Library at Wesemann Hall adds resources especially for law students and scholars. 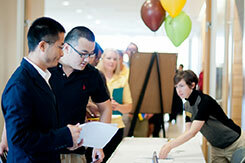 A friendly professional reference staff helps make resources accessible to students. 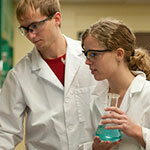 Many aspiring scientists, engineers, and health care practitioners may not touch science apparatus and instruments until graduate school, but at Valpo undergraduates learn to use a variety of scientific equipment in laboratory course work and in faculty mentored research as early as their first year of study. Part of a larger STEM village, the Center for the Sciences: Chemistry and Biochemistry is a 55,800-square-foot, laboratory-intensive building that houses primarily wet laboratories for chemistry, biochemistry, and biology students, fostering multidisciplinary collaboration. The College of Arts and Sciences, the College of Engineering, and the College of Nursing and Health Professions all offer state-of the-art facilities, including newly renovated space for our physician assistant studies program, that prepare students for success in STEM fields. 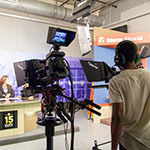 An industry-quality, three-camera digital teleproduction studio with teleprompters, a separate weather studio featuring WSI weather graphics, a 20-Mac workstation digital video/audio lab, and a digital sound-editing suite are all available to Valpo students. 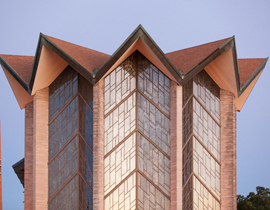 The Valparaiso University Center for the Arts is home to the theatre, music, and art departments. Performance spaces include the 275-seat University Theatre and 170-seat Duesenberg Recital Hall. 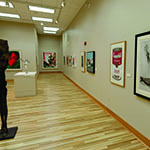 The Center houses studio space for both digital and traditional media, as well as the Brauer Museum of Art.